In this extract from A Race For Madmen, Chris Sidwells says the first ever Tour de France riders were racing the unknown for almost 2,500km. The first Tour de France was 2,428 kilometres long, split into six stages with between two and four days of rest between each one. You don’t have to be a mathematician to work out that 2,428 divided by six means a lot of kilometres per stage: the shortest was 268 kilometres and the longest 471. Two or three days between stages were not only needed for the top men to recover, but for the stragglers to finish. The last man on the first stage was on the road for ten hours short of two days! And no wonder. The riders had to make over 480 kilometres on highways of hammered stone chips, or country roads rutted by cart wheels and pock-marked by livestock. If it was hot, the roads were iron hard and covered with choking dust. If it rained, they became a sea of mud. Then there were the bikes. Steel frames and handlebars, wooden wheel rims and big balloon tyres. Brakes worked by pulling a lever so a steel rod pushed a leather pad directly on to the tyre tread. The bikes were heavy, 15 kilograms or more, and they had just one gear. Well, they had two, but the rider had to stop and remove the rear wheel to place the chain on the other sprocket. It would be tough. The 78 men who finally signed up for the whole Tour – a few extra riders elected to ride a single stage that was local to them – were racing into the unknown. They were a mix of racing stars and have-a-go heroes. A few raced under pseudonyms because the pro riders were a rough breed of mercenaries and some participants, who maybe came from posh families, didn‘t want their real names to be known. The one that stands out most on the start list was a Belgian who called himself Samson. 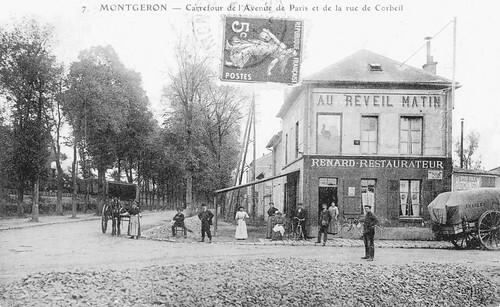 In the end 60 entrants came to the start outside a café called Au Reveil Matin in Montgeron, which is now part of Paris but was then a small satellite town. It was three o’clock in the afternoon on 1 July 1903. The café is still there, on the Rue Jean-Jaurès, and a plaque outside it records the first Tour. There have been changes during the intervening 106 years, but it is still a working café and restaurant. The surprise, though, is that there are no souvenirs from the first Tour de France – they have all been stolen. 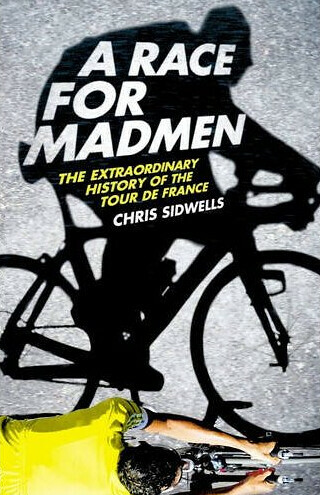 A Race For Madmen: The Extraordinary History of the Tour de France, by Chris Sidwells, is out now.